The Great North Woods Region of northern New Hampshire has been attracting campers, hikers and RV goers for decades. Beautiful mountains, the headwaters of the Connecticut River and numerous ponds and lakes are located here. 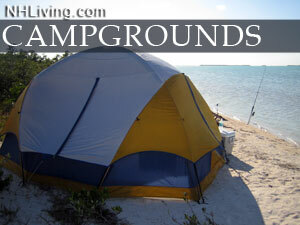 There are some outstanding family campgrounds, RV resorts and waterfront camping sites located here. Ask us about NH Campgrounds or share reviews and comments. To feature your NH campground, contact us.